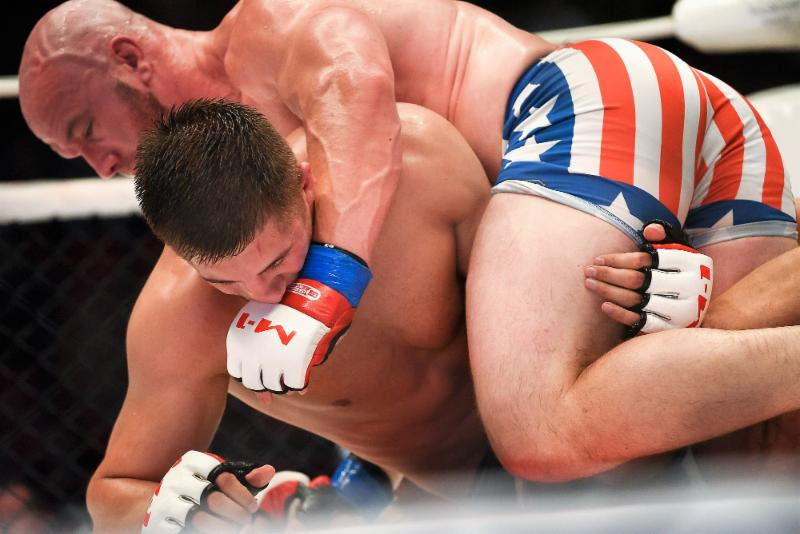 KAZAN, Russia (September 23, 2017) - American MMA fighter Brandon "Bull" Halsey, fighting as a light heavyweight for the first time, won a hard-fought, three-round unanimous decision over his Russian opponent, Mikhail Ragozin, in yesterday's (Saturday) M-1 Challenge 83: TATFIGHT 5 main event, marking the first international MMA event ever held in Kazan, Russia. 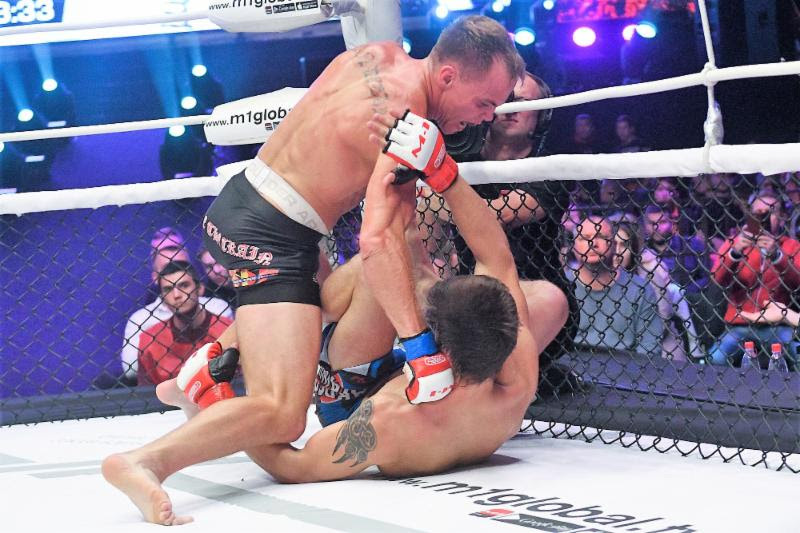 In the co-feature, Aleksander Doskalchuk became the first M-1 Challenge flyweight champion. 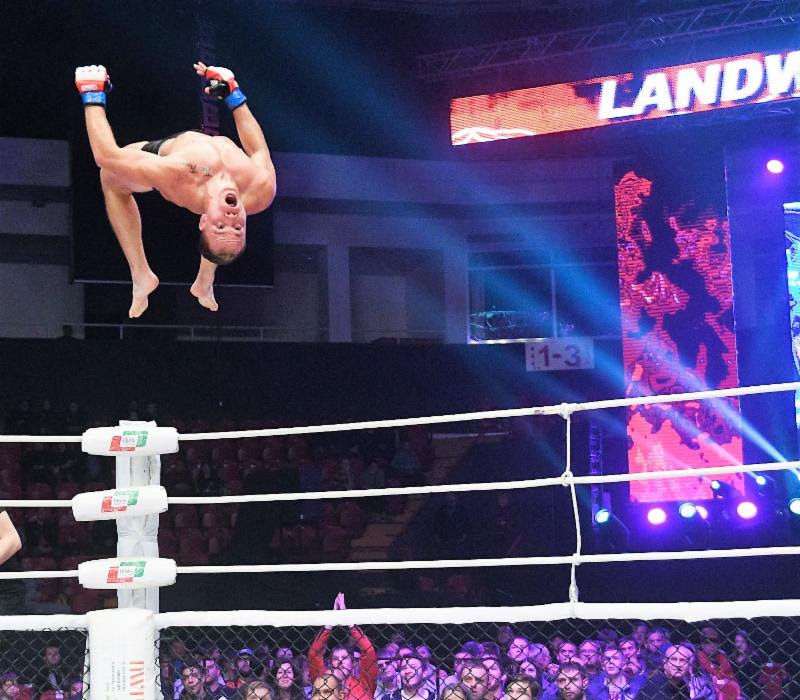 Eight different countries - Russia, USA, Ukraine, Georgia, Kazakhstan, Brazil, Kyrgyzstan, and Netherlands - were represented by fighters in this international event. The 30-year-old Halsey (10-3-0, M-1: 1-1-0), fighting out of Huntington Beach, California, was a standout wrestler at the California State University in Bakersfield. He is a former two-time Bellator whose decision to move up to light heavyweight from middleweight, after him being stopped in the opening round of M-1 Challenge 79 this past June to Russian MMA star Alexander Shlemenko, proved correct as he won a three-round decision over Ragozin for his initi al M-1 Global victory, establishing himself as a leading contender for the coveted M-1 Challenge light heavyweight title. Doskalchuk (8-1-0, M-1: 2-0-0), of Ukraine, used a choke hold to force Russian flyweight Vadim "Bad Santa" Malygin (11-3-1, M-1: 2-2-1) to tap out in the second round. 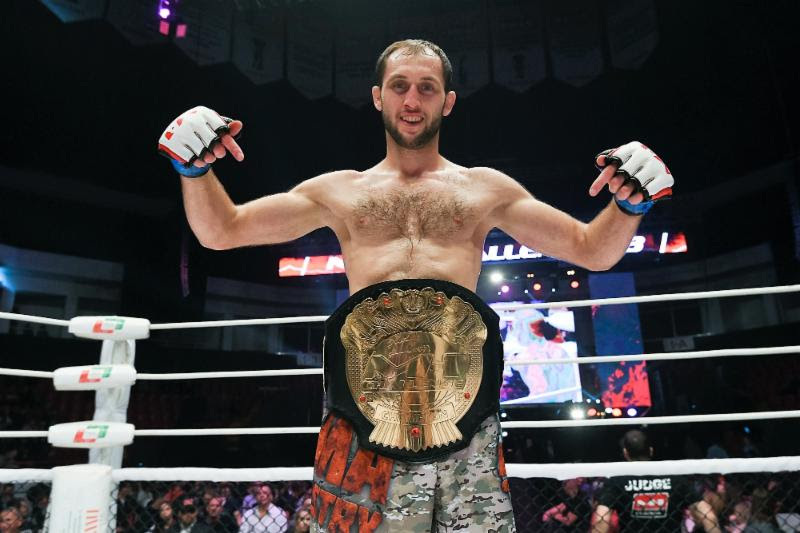 Doskalchuk became the first M-1 Challenge flyweight champion. In other main event action, Georgian lightweight Raul Tutarauli (18-3-0, M-1: 6-1-0) took a three-round unanimous decision over previously undefeated Vladimir Kanunnikov (8-1-0, M-1: 0-1-0, of Russia; American featherweight Nate "The Train" Landwehr (9-2-0, M-1: 1-0-0) stopped his Russian foe, Mikhail Korobkov (13-3-1, M-1: 1-3-1), on punches in the second round; Kazakh bantamweight Sergey Morozov (10-3-0, M-1: 5-2-0) punched out Luan Fernandes (8-3-0, M-1: 0-1-0) in the second fame. The judges were very busy working the undercard as only two fights ended before the full distance with Russian featherweight knocking out his countryman, pro-debuting Rinat Shakirov in the third round, and Russian lightweight Viktor Kolesnik (11-3-1, M-1: 2-0-1) doing the same to Netherlands kickboxing specialist Brian Hooi (14-7-0, M-1: 0-1-0), only in the opening round. Ukrainian light heavyweight Vadim Shabadash (5-2-0, M-1: 1-0-0) and Russian bantamweight Alexander Osetrov won unanimous decisions over, respectively, Russian Kirill Kusmin (2-1-0, M-1: 0-1-0) and pro-debuting Lenar Suleymanov, of Russia. 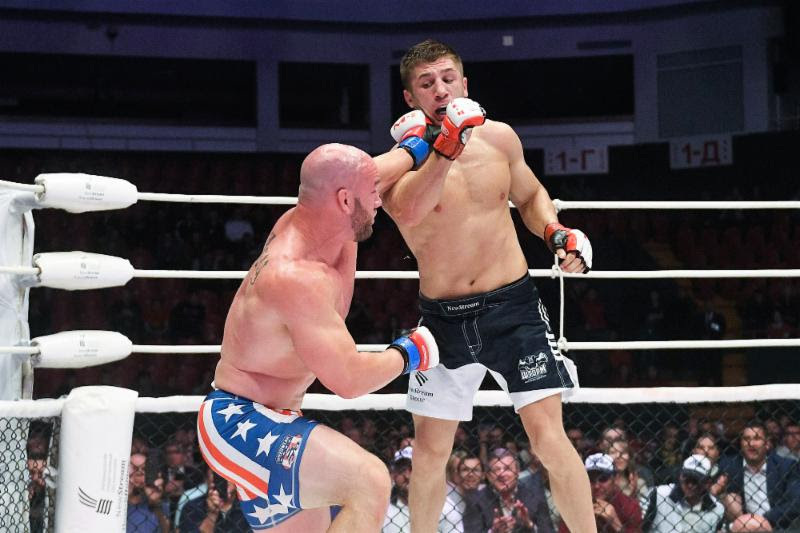 Russian light weight Alik Albagachiev (4-0-0, M-1: 1-0-0) took a majority decision win from Russian Ruslan Khisamutdinov (4-4-0, M-1: 0-1-0) and Russian welterweight Vadim Sinitsyn (2-0-0, M-1: 1-0-0) had the exact same outcome versus Timur Gilimzyanov (4-3-0, M-1: 0-1-0). Brazilian lightweight Diego Davela (18-6-1, M-1: 1-1-1) and Busurmankul Abdibait Uulu (8-2-1, M-1: 0-0-1), of Kyrgyzstan, fought to a three-round split draw.